AshleyNewell.me: Favorite Teacher and Blog Candy! Favorite Teacher and Blog Candy! Hello friends! Hope that you all had a great weekend! We had some fun. We celebrated our anniversary at a local restaurant while my mom watched the kids, they were so kind to us! They gave us a quiet table in the corner and free dessert. Then we had a couple fun family days on Saturday and Sunday. Here's a card I made with some fun October Afternoon Cherry Hill elements. It's a reject from the Cards Magazine call. I didn't get anything picked up this month. Sigh...there's always next month. All the elements of this card are October Afternoon other than the card base, Thickers letters and hemp (which came from my Caffinated Cropper Beeez Kneez kit.) The border punch is EK Success. Have a great week, everyone! And wish us luck, this week we are going to try to find a property management company that will work with us and our slightly lacking credit. 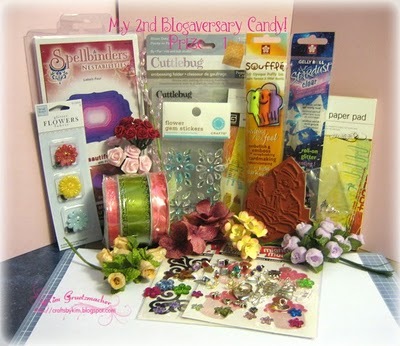 PS Check out Kim's awesome blog candy for her 2nd blogoversary! It's a good one! This is so adorable and would make any teacher happy to receive this card. This is adorable Ashley! I love it! Ashley is is beautiful hun...what a great teacher card! And thanks for the shout out and for entering my blogaversary candy! Good luck to you! Can't believe that didn't get picked... I love that card... so cute!